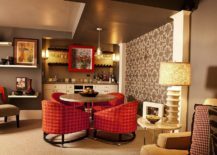 Vivacious color, gorgeous patterns that range from geometric to floral, and of course, spaces that are full of personality and effervescence, retro is a style that is unmistakable and at times over the top. 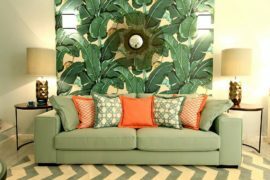 It is a style that has been heavily borrowed from in the last few years, and with the cyclic nature of fashion and design making it a hit among the hip crowd, retro design elements coupled with vintage vignettes are currently all the rage. 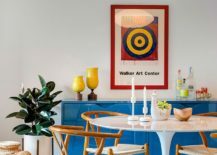 But infusing some of this lively brilliance into your home décor can be hard, especially for a generation that was taught the simplicity of the 90’s and its functional design principles. 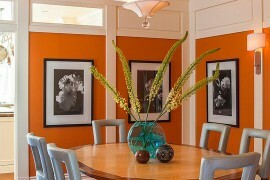 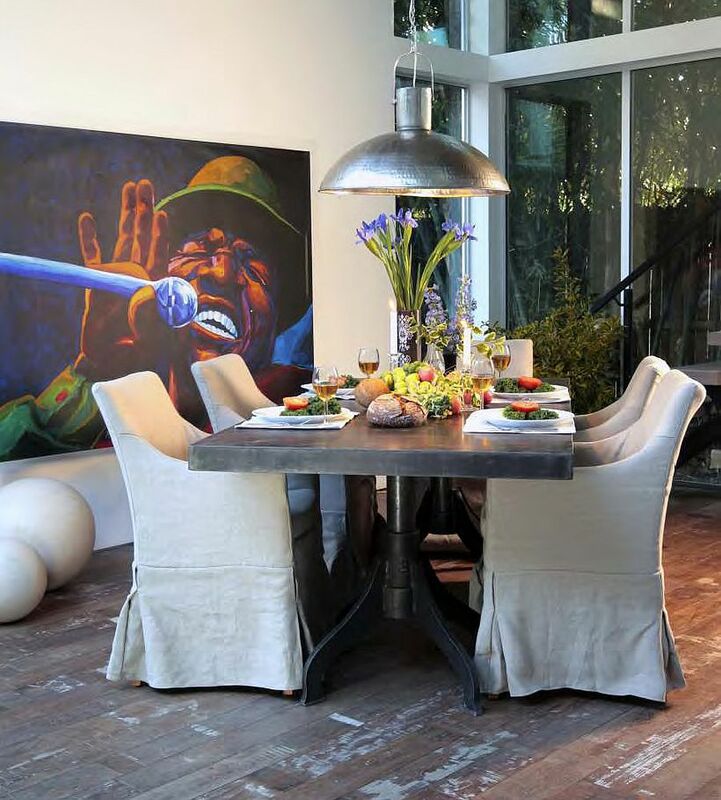 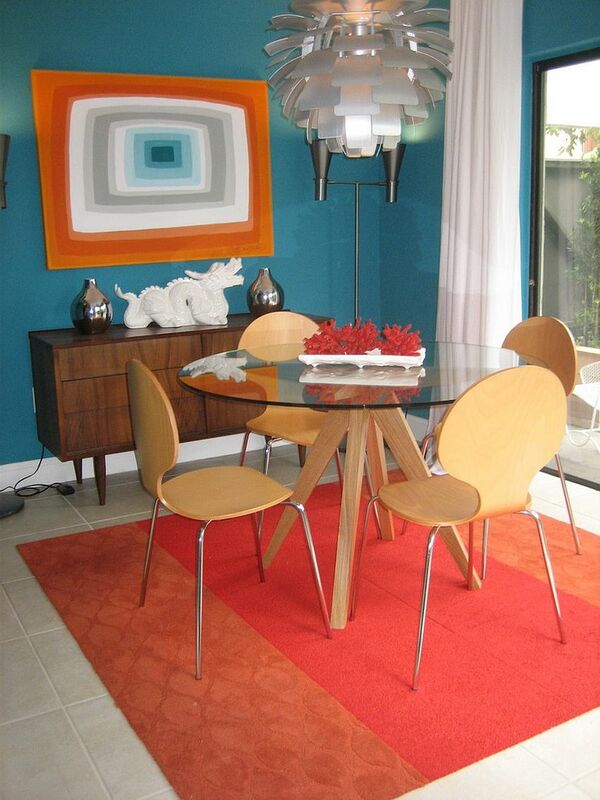 A good place to start out with retro design and decorating is the modern dining room. 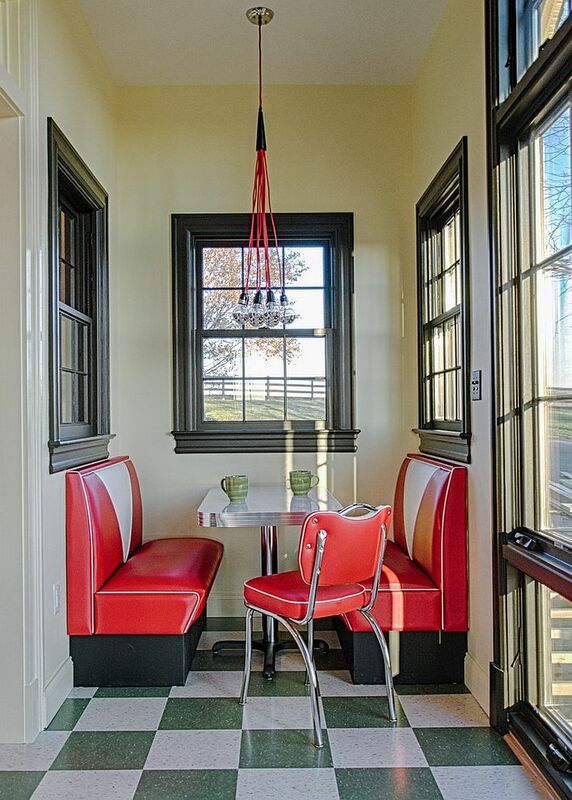 The idea of a ‘retro diner’ is something that puts a smile on the face of almost everyone, even if you were born well after the glory days of the 60’s and 70’s. 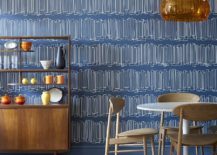 Retro dining rooms coupled with modern touches can offer a delightful escape from the mundane, and today we focus on how you can do this without completely committing to the style at all times. 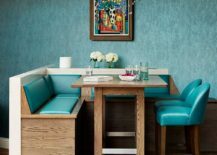 An iconic image of the 60’s and 70’s that has been burned into our brains by Hollywood and TV is the cool diner with its jukebox in the backdrop and color being used in an expansive manner pretty much all around. 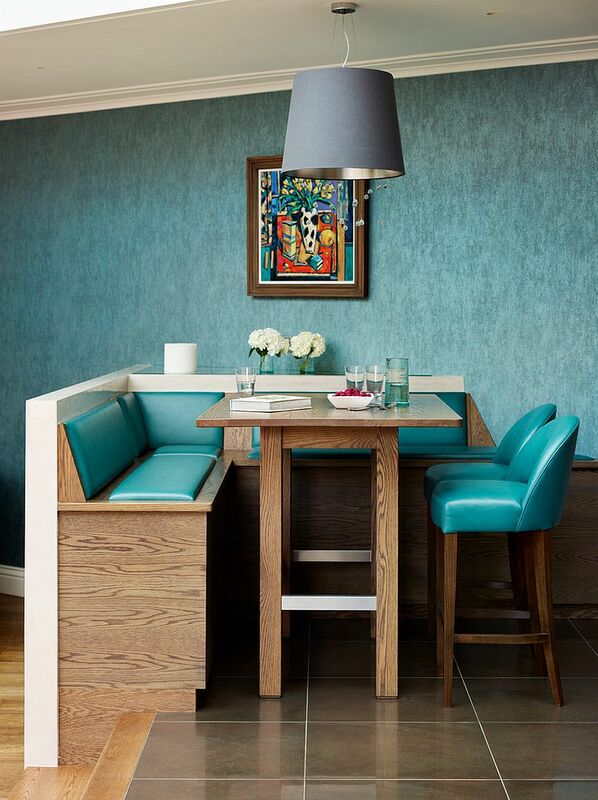 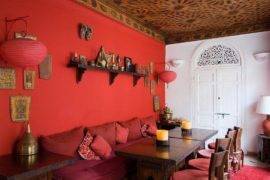 If you have an unused corner in your kitchen or wish to turn one in the open plan living area into a dining nook, the cheerful booth or banquette is a great option indeed. 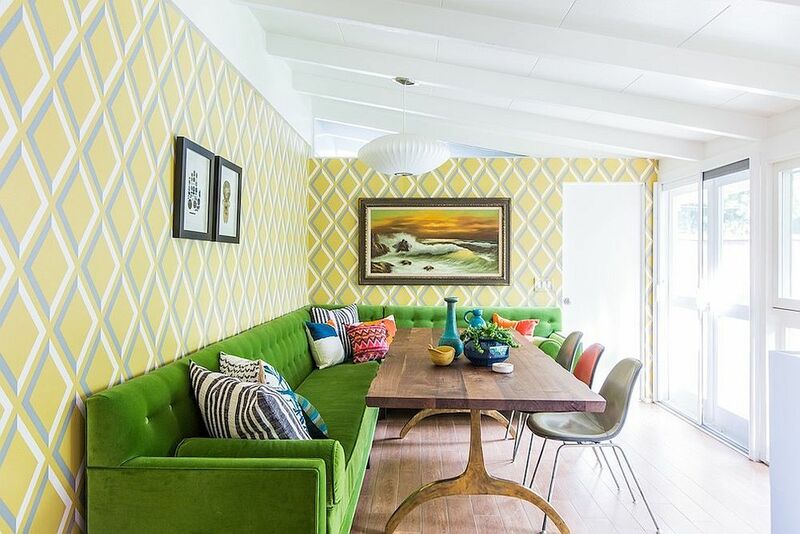 It seems authentically retro when filled with multi-colored accessories, bright and beautiful seating and a smart dining table. 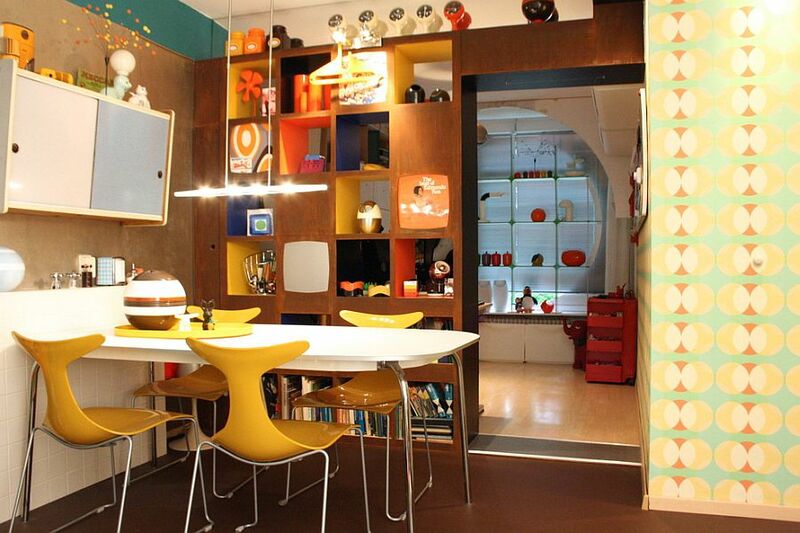 This is a wonderful solution for the small dining space in studio apartments as well! 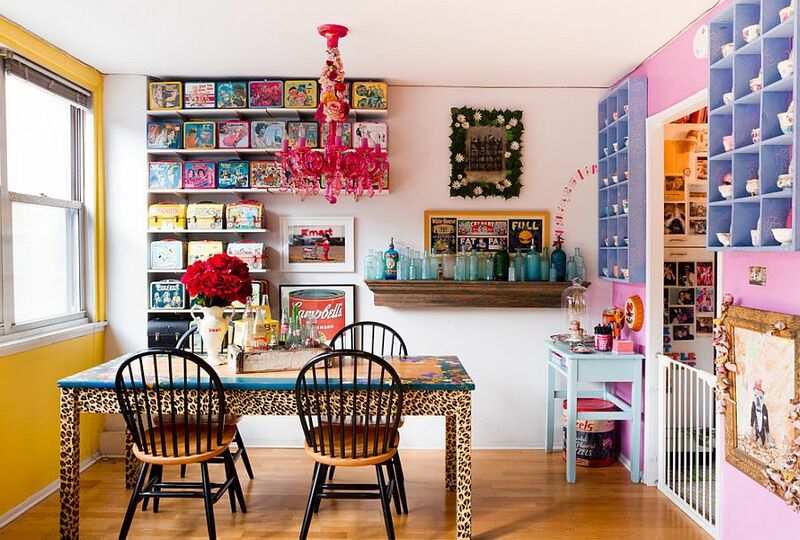 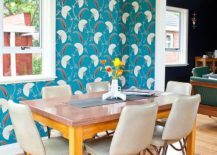 A bold backdrop is definitely a must for any room that wants to call itself ‘retro’, and with audacious wallpaper being one of the hot design trends of 2016, your super-cool and funky retro dining room will seem perfectly fashionable. 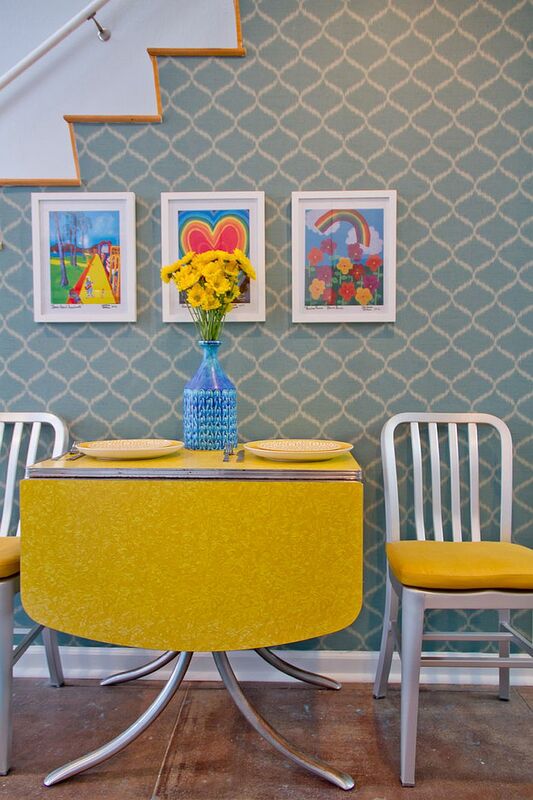 Wallpaper not only brings color to the dining space, it also adds plenty of pattern to the room, and if you ever feel that it is all too much, then tuning out the retro vibe will be quite easy. 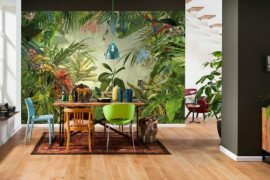 When it comes to fabulous wallpapers for the dining room, there is absolutely no dearth of options, and this is also a fun way of demarcating space in the open plan living area. 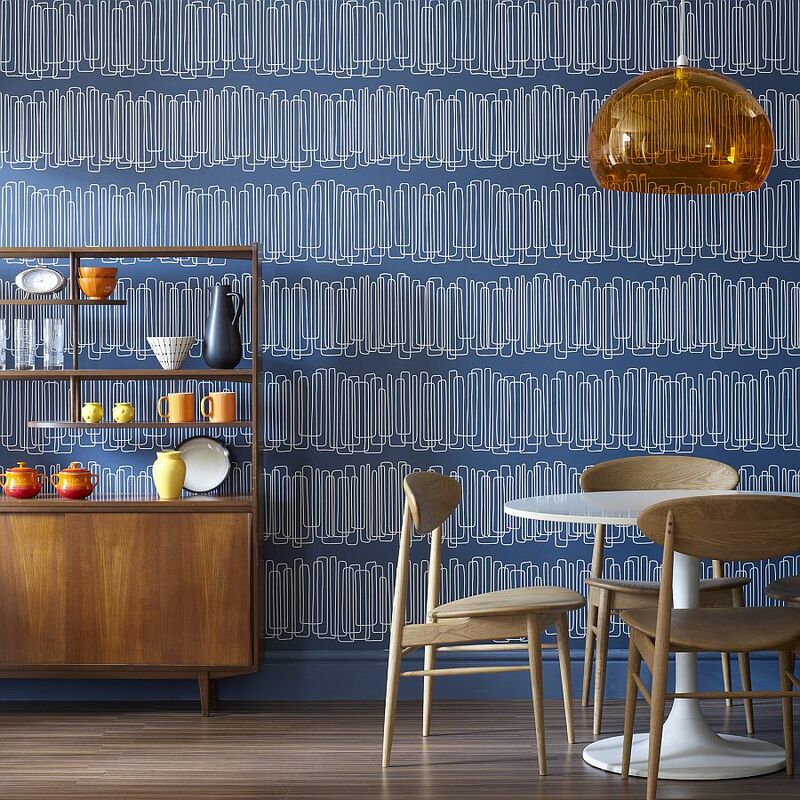 Geo patterns find their roots in midcentury design, and while the 60’s might have seen a shift to less ‘clean’ and more vibrant flowery patterns, a blend of both eras can work beautifully. 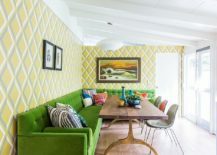 Geo patterns in the dining room can be brought in by much more than just the wallpaper or drapes, as chairs covered in bright fabric with a striking pattern or even a dining table with a checkered top can do the trick. 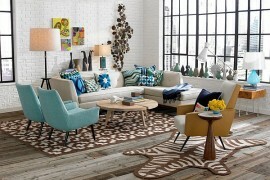 Want to go more midcentury with just a pinch of retro thrown in? 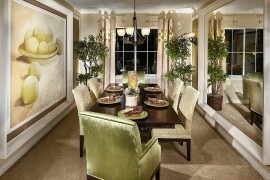 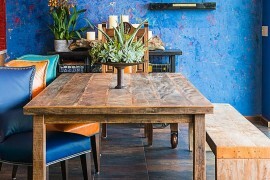 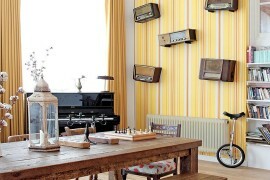 That definitely seems to be a more popular option among homeowners than dining space that adopts a kitschy retro theme. 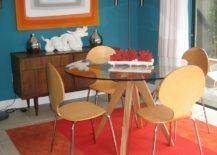 Midcentury design brings a certain sense of inherent ‘order’, thanks to the use of clean, straight lines and uncomplicated design. 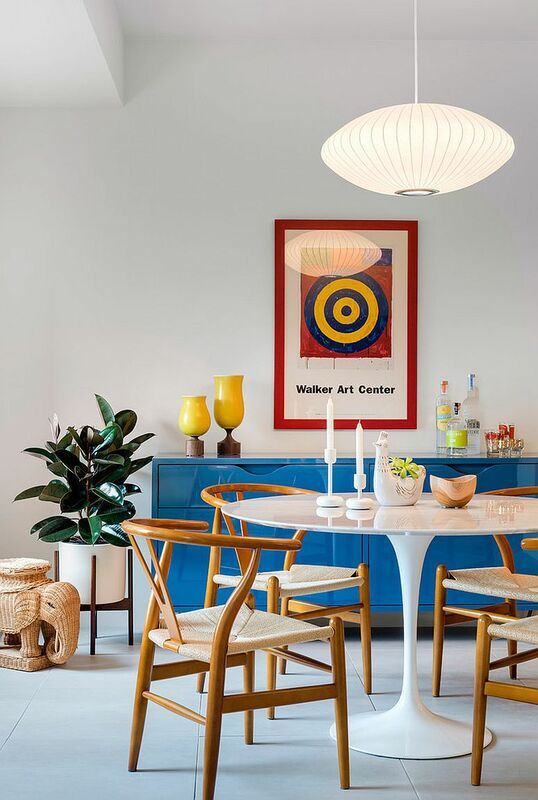 Finding a compromise between both worlds is absolutely possible with a bright, colorful sideboard or a classic credenza with a lustrous sheen that sits in the background, even as your contemporary dining room sits proudly in the foreground. 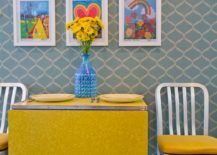 The idea of adding retro punch to your existing dining room is more about just changing a few elements within the space than a complete switch of styles. 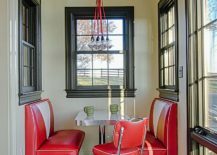 This means you can combine almost any other design style, including farmhouse, rustic, industrial or modern, with retro décor elements to get the best of both worlds. 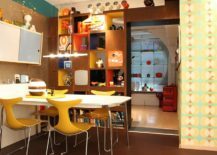 This allows you to retain a certain sense of control over the dining room where you can switch back to the original style as soon as your fascination for all things retro fades away. 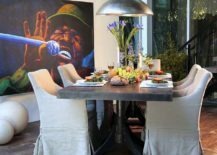 This is also a budget-friendly way to redecorate that lets your dining room blend in with the adjacent modern kitchen or living space far more seamlessly. 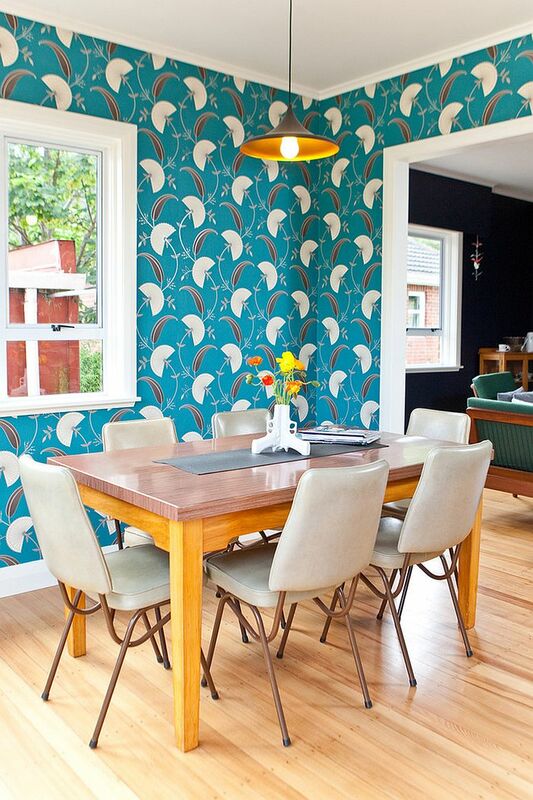 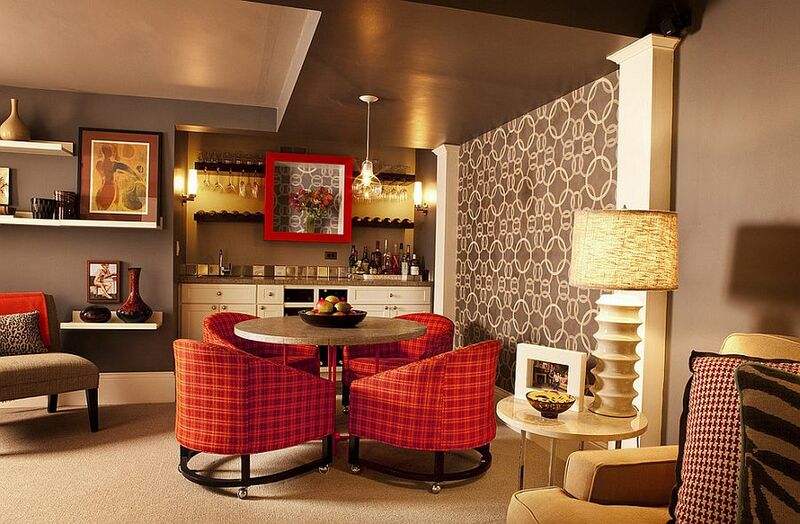 So, do you want to go down the awesome retro path in your dining room?